O.T. Neighoff & Sons, Inc.’s corporate headquarters are located in Glen Burnie, Maryland. Encompassing 2 ½ acres, our facility houses our considerable resources that enable us to provide the quality contracting services that stand behind our reputation. The complex consists of our corporate offices, equipment and material warehouses, construction shop, truck fleet compound, and the OTN Blast and Paint Shop’s blast buildings and spray booths. The 3,500 square feet office section of our facility houses our reception area and our support staff, administration, accounting, estimating, operations, and marketing offices, our Conference Room and technology areas. The support staff assists the Estimators with preparation of their proposals and billing as well as client follow up and mailings. The Office Manager oversees their performance and works with the Office Accountant tracking job costs and overseeing daily operations. OTN’s office technology is continually updated to assure our clients that their contracts are well monitored and day-to-day business runs smoothly. 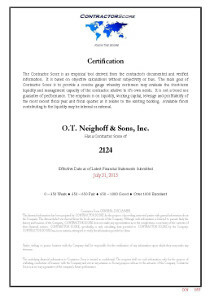 OTN has the equipment needed to properly stage and perform our contracts. Jobs start on time and stay on schedule aided by well-maintained equipment and efficient ordering and storage of essential materials. The 7,000 square feet of equipment and material warehouses provide space for commonly used materials that are kept in constant supply, materials ordered for specific contracts, equipment storage and a work shop for equipment maintenance. OTN owns Blastrac machines for floor surface prep, electric airless spray units, high pressure washers, plural component polyurea units, generators and diesel compressors. When called for, specialty or extra equipment is rented. The Construction Shop provides that Division with an exclusive area for tool storage and maintenance as well as a woodworking shop. OTN’s considerable truck fleet includes pick-ups, step vans, passenger vans, lift gate box trucks rated at 15,000 GVW, an 11,000 GVW stake body truck, flatbed trailers with a rating of 11,000 GVW and job-site trailers. We have the vehicles ready to complete the job and can pick up and haul heavy equipment to and from the Blast and Paint Shop. The trucks are maintained on a weekly basis to assure safety for our crews and your equipment. The Blast and Paint Shop consists of 3 environmentally controlled paint booths, 2 blast booths and prep and drying area of 13,000 square feet overall. 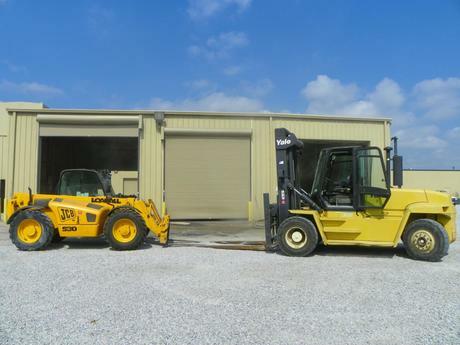 Staging and moving heavy equipment is facilitated by a JCB rated for 6,000 pounds and a 15 ton Forklift. Multiple projects can be staged simultaneously and when needed the Blast and Paint shop runs crews around the clock. The Blast and Paint shop services industrial, commercial, military and residential clients blasting and coating needs. While most of our clients never see our Facility, they benefit from the fact that OTN believes in reinvesting in our staff, equipment and vehicles to ensure that our contracting services are at the top of industry standards. 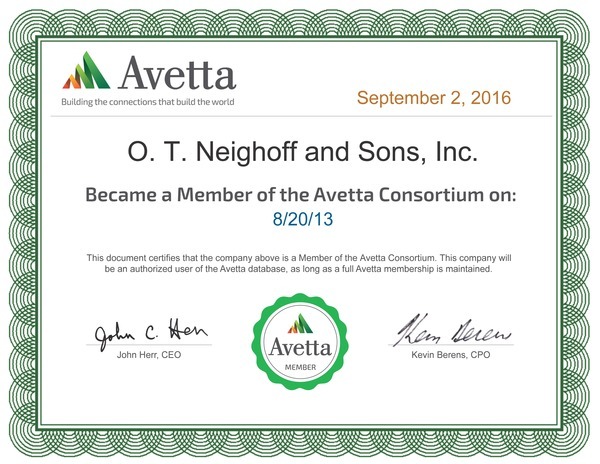 Contract with OTN and put our considerable resources to work for you. Please contact us at 410.766.3000 to get started.